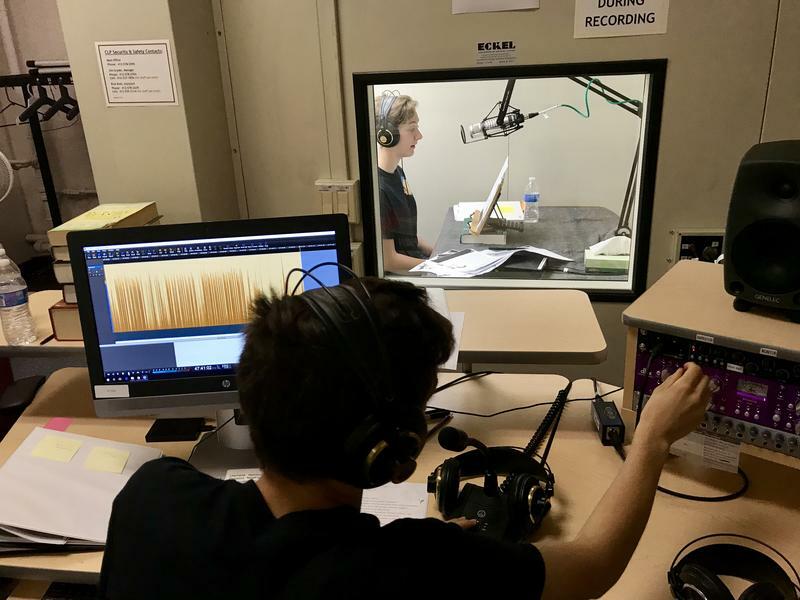 Barack Obama Academy of International Studies sophomore Sam Bisno monitors the audio levels of Piper Walsh, recording audio for children's books at the Carnegie Library for the Blind and Physically Handicapped on Friday May 4, 2018. It’s a Friday afternoon and a group of high school students crowd around a computer screen, watching audio levels rise and fall. Behind the window of a recording booth, another student is reading from a children’s book. But the teens aren’t reading directly to a child. They’re creating audiobooks, so blind and visually impaired children can access literature. The students, who attend Barack Obama Academy of International Studies, describe themselves as “avid readers” and said they participating in the program to give back to their community. They gather nearly every week at the Carnegie Library for the Blind and Physically Handicapped (LBPH) to create recordings for children around the country. According to a 2015 report from the American Foundation for the Blind, 298,382 Pennsylvanians are visually impaired, and 2,754 are under the age of five. The LBPH provides both audio books, braille print books and large print books to visually impaired Pennsylvanians, including patrons who are blind, or have a print disability. Mark Sachon, the library’s volunteer coordinator and studio manager, says a print disability is not being able to read standard sized font, which includes 14-point and lower. Aubree Peterson-Spanard, an Obama student who is visually impaired herself, uses the LBPH’s services in addition to volunteering her time to record audiobooks. While the LBPH falls under the umbrella of the greater Carnegie Library in Pittsburgh, they are also a part of the Library of Congress’ 80-year-old National Library Service (NLS) program. Volunteers and staff at the LBPH use their two in house recording booths to create Pennsylvania-specific audio books, either about Pennsylvania or by Pennsylvania authors, to contribute to the NLS. The program for high school students began ten years ago, when LBPH partnered with the Ellis School in Shadyside. Through Melissa Dodge, then an English and French teacher and diversity coordinator at the school, a remote recording studio was set up at Ellis so that students could learn to record, monitor, and edit audio books. The program at Ellis ran for eight years, and following Dodge’s retirement, moved back to the LBPH. For the past two years, the library has partnered with the Obama Academy, and has regular student volunteers that work on recordings weekly. The books the students record are also Pennsylvania-specific, and are usually children’s books or in the young adult genre. Now a volunteer at the library, Dodge helps the students produce the books, and said that the students learn “valuable skills” in recording the books, such as public speaking and community engagement. The program has also begun to incorporate a bilingual aspect to the program this year, recording books in Spanish and making them available along with the rest of their collection. Sophomore Daevan Mangalmurti, who has been with the program for the full two years, said he hopes the project will expand access to underserved communities. The LBPH sends out about 800,000 audio books per year, and account for one-third of the total circulation of physical materials within the Carnegie Library system. 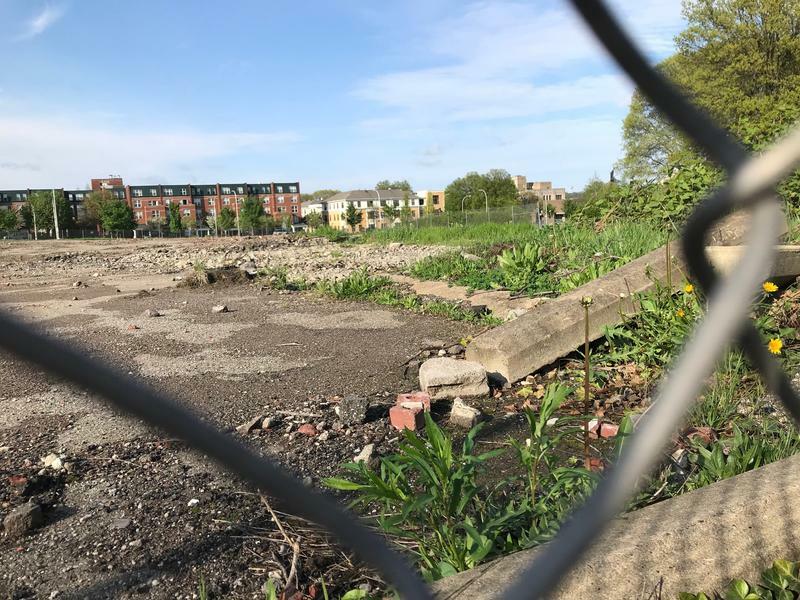 Advocates are urging the City of Pittsburgh to take the former Penn Plaza site through eminent domain. Randall Taylor and Jessica McPherson volunteer with Penn Plaza Support and Action, an advocacy group fighting to rebuild affordable housing at the site of the former Penn Plaza Apartments in East Liberty. In Spring Hill, early 20th Century houses look out over cinematic views of downtown Pittsburgh. 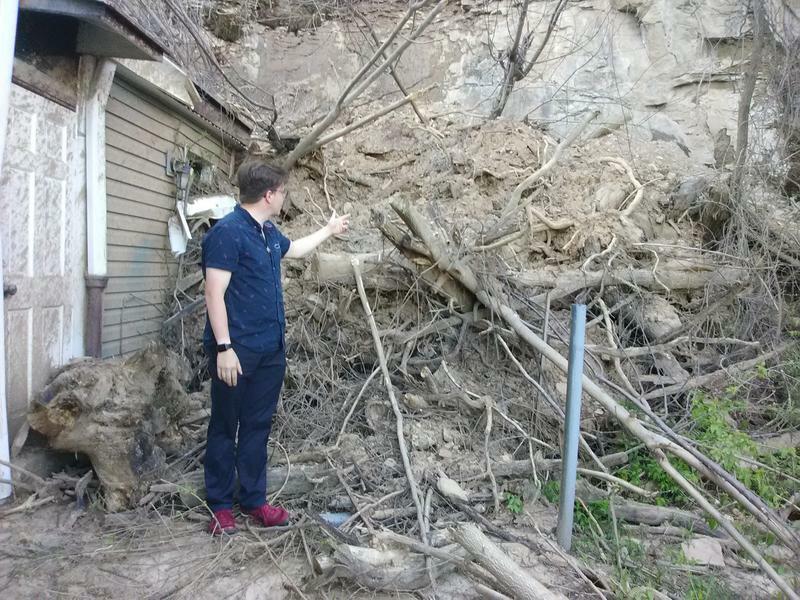 The front of 36-year-old resident Randal Miller’s home appears fine, but the back is a mess. Part of it was slammed by a landslide this February. Miller’s laundry room sustained the worst of the damage. Reddish mud and glass cake the floor and everything smell likes mildew. Four peregrine falcon chicks have been removed from a nest at the top of a Third Avenue building in downtown Pittsburgh. 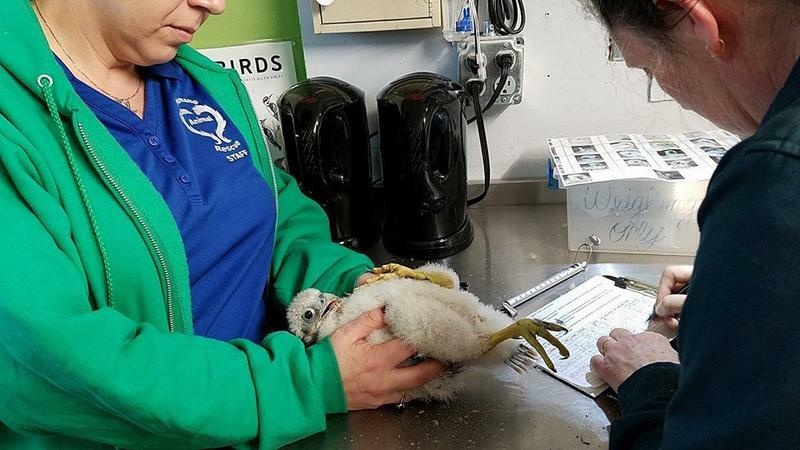 They arrived Tuesday at the Humane Animal Rescue Wildlife Center, according to the group, where the chicks were examined and banded with trackers.